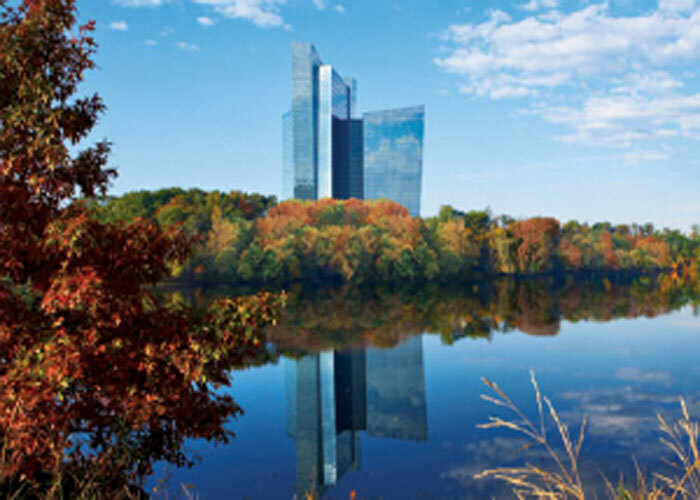 Connecticut’s two federally recognized tribes – the Mashantucket Pequot and the Mohegan Tribe – released on Thursday a request for proposals for the construction of the state’s third fully-fledged casino. Municipalities located in the northern part of Connecticut and interested developers will have up until November 6 to submit their proposals. A decision is expected to be made before December 15. Currently, there are two full-scale casinos within the state’s borders – Foxwoods Resorts Casino, run by the Mashantucket Pequots, and Mohegan Sun, operated by the Mohegans. Both gambling venues are located on reservation land. Earlier this year, the Connecticut Legislature approved a bill that authorized the construction of a joint tribal casino on state-owned land. This is why the two federally recognized Indian nations are currently looking for a host municipality and developers for the new casino. Real estate firm Pearce Real Estate is consulting the Mohegans and the Mashantucket Pequots throughout the process of finding a suitable site for the gambling facility. Barbara Pearce, President and CEO of the company, said at a Thursday press conference in Hartford, Connecticut that the two tribes are looking for what every buyer wants – a location where to develop its project as quickly as possible and with the fewest possible costs. Rodney Butler, Chair of the Mashantucket Pequot tribe, commented that the construction of the property is expected to take between 12 to 15 months, once they get all the necessary approvals. The two tribes have repeatedly pointed out that the establishment of a casino in the northern part of the state would prevent more than 9,000 casino workers from losing their jobs due to the upcoming openings of gambling venues in neighboring New York and Massachusetts. In fact, Connecticut’s third casino is intended to be a direct competition to the $800-million hotel and casino resort MGM Springfield, which is to open doors in 2018. Tribal officials said on Thursday that they are looking for a site that meets all the necessary environmental regulations and that could accommodate a 500,000-square-foot casino resort. The host municipality will also need to be committed to protecting and preserving Connecticut casino jobs. It will have to take a sustainable approach to the development of the property and to make sure that once operational, it would create numerous jobs and other opportunities for residents of the region and the state as a whole. The two tribes pointed out that the gambling market in New England is particularly competitive and that competition is to grow even more with the launch of the new casino facilities in Massachusetts and New York. This is why the host municipality will need to take due measures in order to provide well-trained casino employees, beneficial tax policies, sufficient infrastructure, etc. As mentioned above, the Mashantucket Pequot and the Mohegan tribes are expected to announce their preferred candidate for host of their joint venture by December 15. East Hartford, East Windsor, and Enfield have all expressed interest in hosting the gambling venue. However, tribal officials said that there is still room for candidates and every municipality that is interested in the project is more than welcome to submit its proposal.